The past 7 months have been more than perfect. 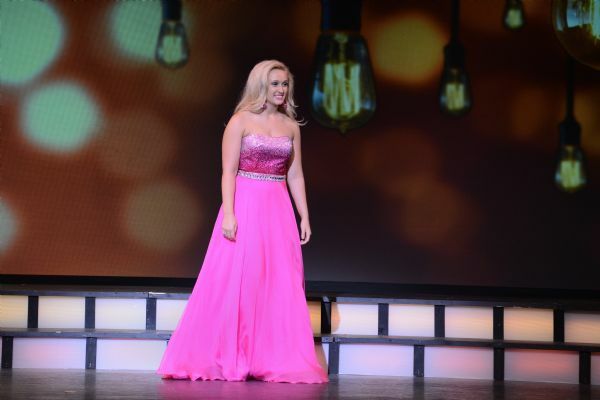 I was crowned in December as Miss Teen Indiana International, and I got to Spread my N.E.W.S.S. as a national teen advocate for the American Heart Association. I would like to thank my sponsors for helping me get to Jacksonville so I could compete at an International Pageant. I felt 110% prepared thanks to my sponsors, CORE pilates, Nicole Lynn Pollard, and friends and family. I would not have been where I am today without my support system. Friends that came to my send off party, family friends that voted and supported me through it all, and family that helped me every step of the way. Each one of you played a part in my success! I think its amazing to see how a family can come together to support one of their own. My mom was there every step of the way, whether is was helping me with my website and public relations, to assisting with steaming my dresses and preparing my wardrobe, making sure I was on time, and being there when I was so exhausted that I just needed a hug. My dad being my biggest cheerleader, a huge monetary support, and always telling me I’m a princess in his heart no matter what happened. Finally my sister who gave up hours of her time to help me, who missed sleepovers to help me pack and made sure I was ready, and who even supported me at orientation when it was her 16th birthday. I would like to give a huge thanks to Nicole Pollard for always believing in me. She put so much hard work into making sure I was ready in every aspect of competition. Your countless hours of preparation with me will be forever appreciated. I’m so glad you could come to my prelims and support me with my family. You are not only the best coach ever, but you have also become a mentor and a friend to me. Thomas & Drew Dunn: Thank you guys for making me feel and look amazing! Not to mention all the backstage love, support and help! You guys are FABULOUS! I can’t wait to hang out with you again! B.Loved & Miss Priss: My go to gown shops! Love you guys, I always feel like a princess in anything I wear from either of you. Dottie Couture, Athena’s, Flourish, and Raelynn’s: You guys all contributed to my week of beauty and everywhere I went I felt beautiful and ready to conquer the day. Paula Preston & Team: I have loved seeing all the photos and can’t wait to see the rest! Esther Boston Photography: Wow, what can I say? Talk about making me look like a queen! Andrew Elliott & Phillip Salmon: Although bummed I couldn’t take you with me in my suitcase to Florida, I love how you made me look like such a queen for my crown & sash photos. You made me feel like a queen! Jason Gilliam at Andy Mohr Chevrolet: You have been such a great supporter and sponsor! Nate Kimmet at Enterprise: You got us there in style! Indianapolis Heart Association: You guys are the best! Julie Petr, Tim Harms, Jen Nanny, Emily Nichols and Michelle…..I have loved every minute of volunteering and plan to continue even after my reign ends. All of you have been so welcoming and sweet with everything! Sponsors, Friends & Family: There were so many I might bore everyone with a list, but you know who you are….thank you from the bottom of my heart! You gave me confidence to keep working and to accomplish this goal. I may not have won, but the lessons I learned and the friendships I gained will be forever invaluable! To all the 37 Teens and 45 Miss that competed, I am so grateful to have met all of you and I wish you all the best. We all came together and made friendships that will last a lifetime. To the Top 15, Congratulations and I’m so proud. To Blair, Miss Teen International 2014, I wish you all the best and hope you have a great year. Enjoy every minute as it is well deserved! To Samantha Riddle, my big sister, you have helped me in so many ways prepare for this, for that I thank you! My week in Jacksonville was more than just fun. It was also exciting, stressful, and memorable. I will never forget that week and the experiences. My year of preparation certainly made it easier for me to convey my thoughts and my passion for heart health and in that time I also grew and learned a tremendous amount personally. I hope to return within a few years to compete in the Miss category. In the meantime, I plan to finish out my year as Miss Teen Indiana International with more appearances and more opportunities to Spread the N.E.W.S.S. Thank you to Mary and Mel Richardson for creating an avenue for us to share our passions through pageantry and platform oriented volunteerism. I can’t wait to do it again! I’m ready for Nationals!-Sherri Hill ready that is…. Hoping to represent at Miss Indiana by winning a prelim soon! Journey to the Crown-Donate Today!